We touch things every day: a coffee cup, a car door, a computer keyboard. Each time we do, it is likely that we leave behind our unique signature—in our fingerprints. No two people have exactly the same fingerprints. Even identical twins, with identical DNA, have different fingerprints. 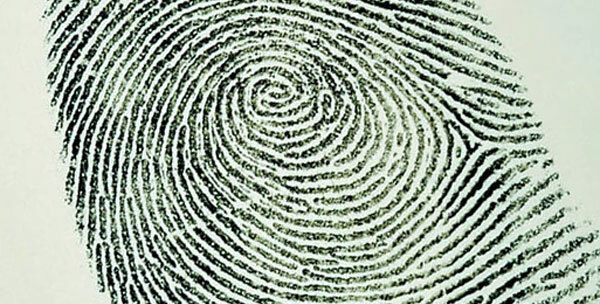 This uniqueness allows fingerprints to be used in all sorts of ways, including for background checks, biometric security, mass disaster identification, and of course, in criminal situations. Fingerprint analysis has been used to identify suspects and solve crimes for more than 100 years, and it remains an extremely valuable tool for law enforcement. One of the most important uses for fingerprints is to help investigators link one crime scene to another involving the same person. Fingerprint identification also helps investigators to track a criminal’s record, their previous arrests and convictions, to aid in sentencing, probation, parole and pardoning decisions.